Clare Balding and Hazel Irvine present live coverage of the 2014 Commonwealth Games closing ceremony. Over 2,000 performers take part in Glasgow's farewell party at Hampden Park. Clare Balding and Hazel Irvine present live coverage of the closing ceremony of the 2014 Glasgow Commonwealth Games. 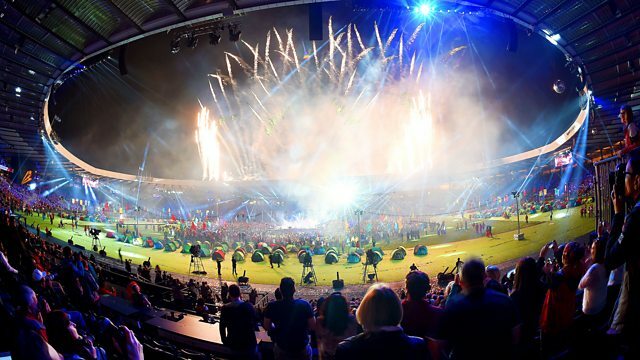 The 4,500 athletes from the 71 competing nations and territories will have their chance to say goodbye to the 20th Commonwealth Games during a glittering ceremony at Hampden Park. Glasgow 2014 was the largest multi-sport event ever held in Scotland and featured 17 different sports across 11 days of competition. Review all the action as Glasgow's Games come to an end. The latest Glasgow 2014 news plus video, audio and analysis.